The Lansing Police Department is looking for a man who they believe robbed a business on S. Waverly, Wednesday. The business was located in the 3600 block of S. Waverly, and the suspect was seen with two females in a white Chevy Malibu before and after the robbery, police say. The suspect is described as a black male, 5-feet, 5 inches tall, in his mid 20s with short hair and a thick beard and mustache. 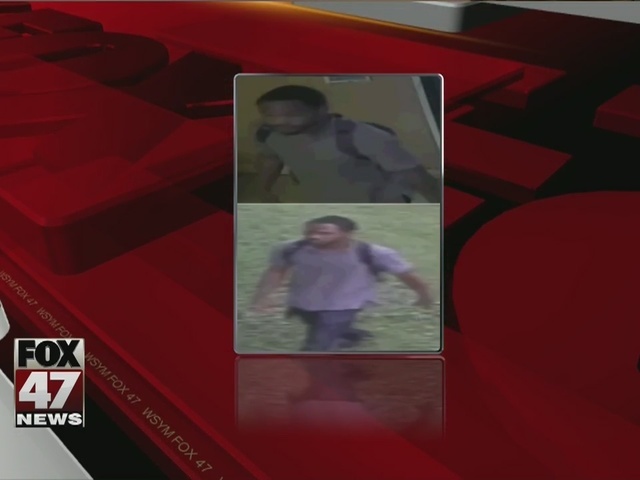 He was wearing a gray or purple shirt, dark jeans, black shoes and wearing a gray backpack. Anyone with information can call the Lansing Police Department at 517-483-4600.